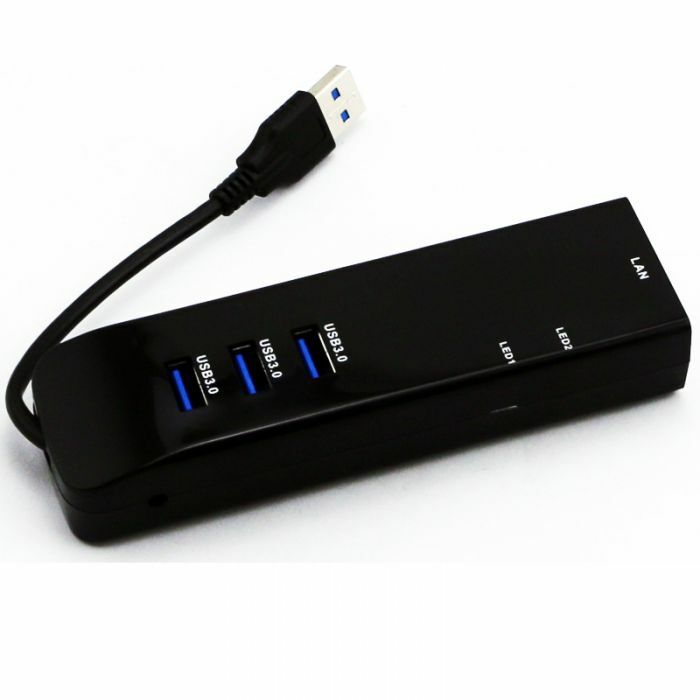 Expand a single USB 3.0 port into 3 full speed USB 3.0 ports with this lighting fast 3 port USB 3.0 HUB. 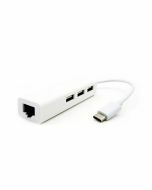 This USB3.0 Gigabit Ethernet adapter is a cost effective solution that converts a USB port into a 10/100/1000Base-T Ethernet port. 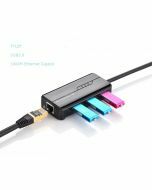 It enables low cost and affordable Gigabit Ethernet network connection to desktop, notebook PC, and embedded system using popular USB ports. 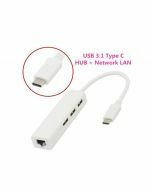 No need to purchase an expensive Gigabit network interface card and to spare a PCI or Cardbus slot, just using your existing USB ports and you can upgrade your network connection speed.